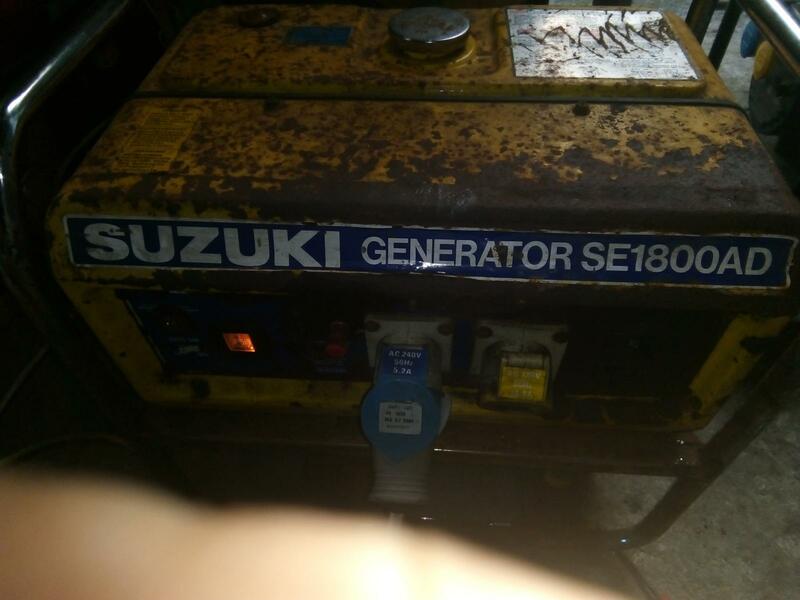 I recently got a little generator a Suzuki SE1800ADSuz. 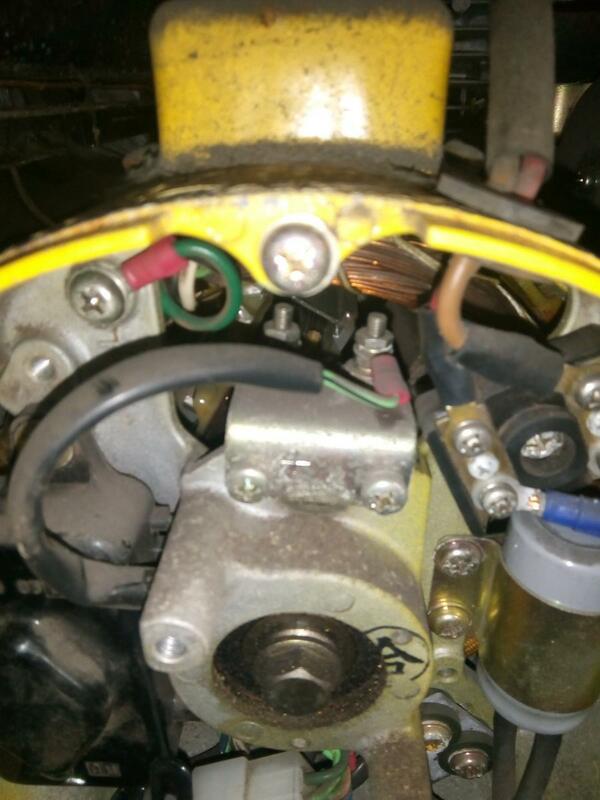 I cleaned the carburettor and fuel system and changed the oil, it started immediately. It also produces power just a little too much power. 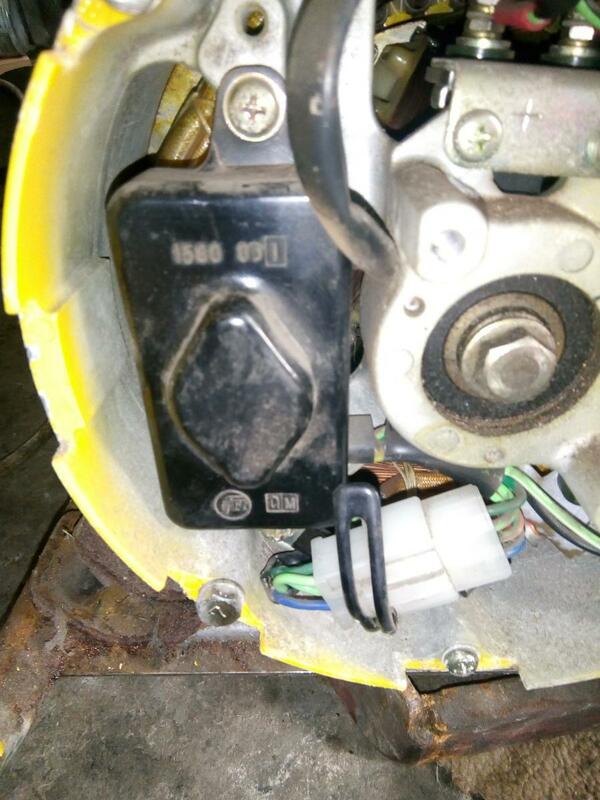 The engine is running at 3040 RPM 50 HZ and the voltage is perfectly stable at 254/255 just running a 200w bulb. 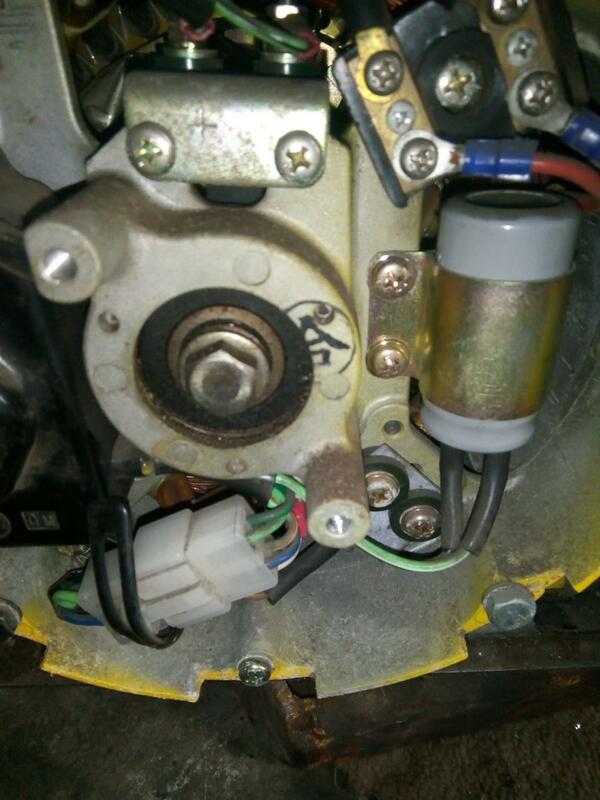 I had a look under the rear cover nd there appears to be a voltage regulator plus a mini capacitor. There is no adjustment on the regulator. Does anyone know anything about these generators? Is the little capacitor a voltage booster? Could I install a modern adjustable AVR? It runs so sweet I really want to keep it but Ireland has nominally 230v and it will damage stuff. Apologies for the long question. The capacitor is the voltage regulator. I don’t think any of those vintage generators had AVR. From what I know... Run Capacitors are current regulators, give a boost to the field if input is low, and reduction on high inputs. That’s how it keeps voltages in check. 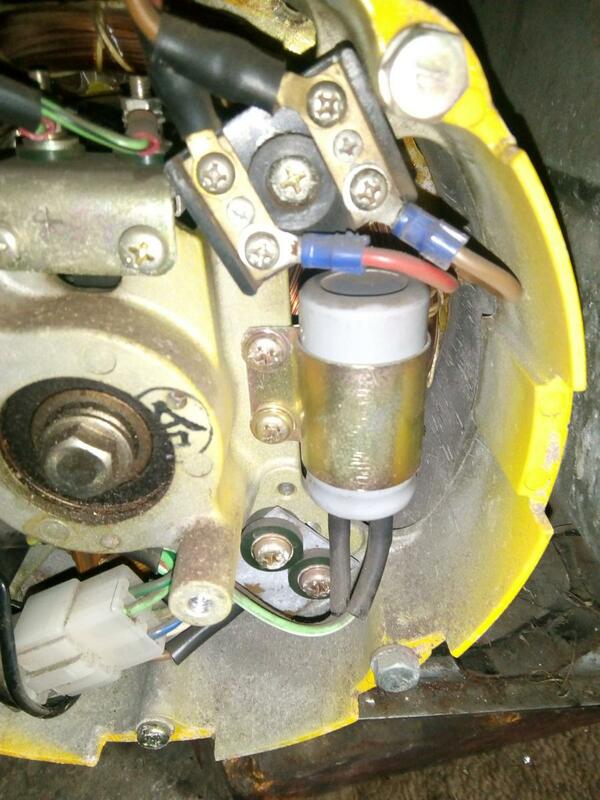 If your voltage is off, it’s possible the capacitor needs replacing. I’m only familiar with US voltages so I can’t say for sure if 255v is dangerous. In the US our grid power is 120v a leg @ 60hz. Under ~130v and about ~62hz from a generator is acceptable under light or no load. As load increases voltage and frequency drop to more ideal numbers. Assuming it’s a 1800watt peak generator, check it at higher loads and see if the voltages level off. It stays at 254 volts up until 1600 watts (hair dryer) after that it drops to 235 volts but thats way more than I'd want to use few lights and a television at most or even just lights and the well pump in event of a power cut. I second your choice of the AVR. Let us know how it turns out.